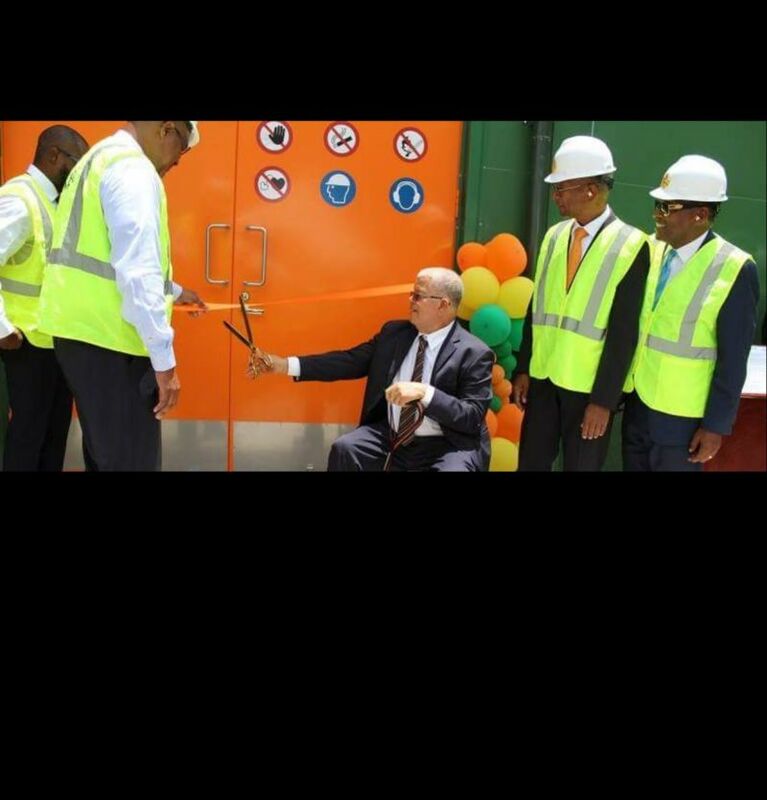 POCKWOOD POND, Tortola, VI- It was on May 4, 2017 in a public ceremony that the state-owned BVI Electricity Corporation (BVIEC) renamed its Pockwood Pond Power Station to honour a long time employee. 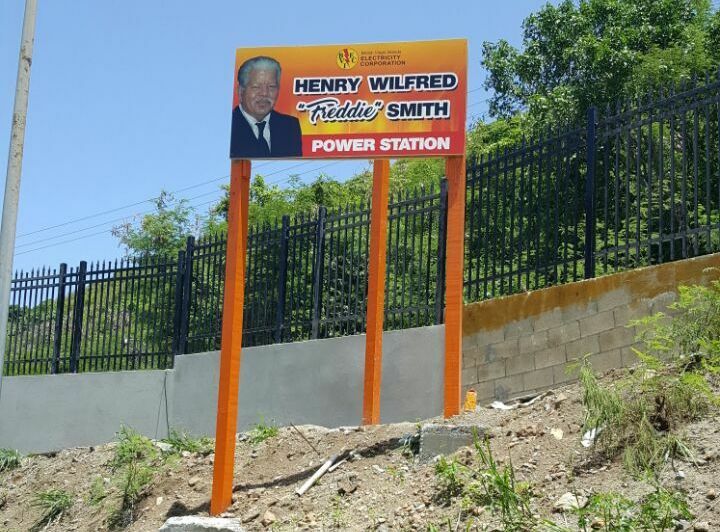 After some 49 years working at the Corporation, the BVIEC Board of Directors recommended the renaming of the station in honour of Henry Wilfred ‘Freddie’ Smith and it enjoyed Cabinet’s blessings and that of the House of Assembly. ‘Freddie’, as he is affectionately called, is the brother of Premier of the Virgin Islands Dr The Honourable D. Orlando Smith (AL). The new honouree Henry W. Smith told the local media at last month's ceremony that he never expected to be honoured in such a grand way. The soft spoken Mr Smith thanked both the Board for their kind gesture and the “Corporation family”. Well, the BVIEC wasted no time and now has the new signage erected. And just in case you have not noticed, the sign is located at the main entrance gate at the Pockwood Pond Power Station, on the western side of Tortola. Meanwhile, beside getting a new name, Phase V of the Corporation’s $50M project, $35M of which was funded by a BVI Social Security loan, was also handed over on May 4, 2017. General Manager of the BVIEC, Leroy A. E. Abraham, speaking at the ceremony, said “the project represents a paradigm shift”. Mr Abraham, who has been at the helm of the Corporation for some 17 years, promised with the turnover of the three new Wartsila generators that we can expect “a more reliable electricity supply and that affords BVIEC the opportunity to perform both planned and unplanned maintenance on its generation assets”. Joshua Smith, Henry Smith, Orlando Smith..Great Family achievement.... Which is the best Smith? I will say Joshua, real humble, respectful, carimg man...Before Politics Orlando would have been the best one by Far. Suggest that you wait until history decides about Orlando. This family of Smiths has in every aspect of these Islands has and continues to be nothing but positive contibution and assist. They have never failed the ancestors. Bvi under the leadership of Orlando is simply another divine guidance that has been bestowed on these blessed Virgin Islands to be played out just how and exactly how its needed. Trust and give thanks!!! UMMm....why so high....distraction if you ask me!! !